Through the toughest terrain and imperfect weather conditions, Mercedes-Benz 4MATIC® all-wheel drive helps keep you in control on any East Brunswick road. Not only will you have better grip, but you’ll gain better weight distribution and performance. What Are the Components of the Mercedes-Benz 4MATIC® system? 4-wheel Electronic Traction System – Sending power to the wheels, slipping can be prevented as each wheel holds its own. And when combined with the Antilock Braking System, 4-ETS can prevent slipping in bad weather and help apply the breaks to the slipping wheel. 7-speed automatic transmission – Power being sent to the front and rear axles, along with the 4-wheel Electronic Braking System, help manage the torque of each individual wheel. Weight shifts – When braking, the weight gets moved to the front wheels, allowing the vehicle to stop more efficiently. Models – The Mercedes-Benz models that have 4×4 drive systems include the CLA, C, E, S, CLS, GLA, GLC, GLE, and GLS. 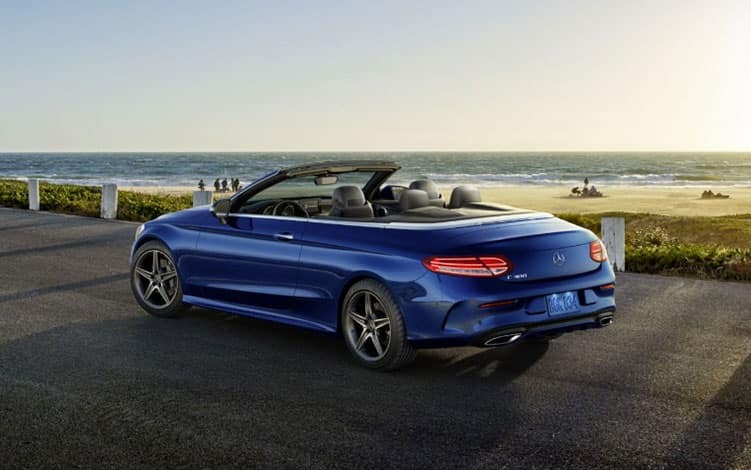 Get behind the wheel of one of these Mercedes-Benz models to feel the difference for yourself. Whether you’re looking for the newest Mercedes-Benz model with 4MATIC®, want to learn more about BlueTEC®, or the Mercedes-Benz COMAND® infotainment system, we at Mercedes-Benz of Edison can help. For more information, contact us today.